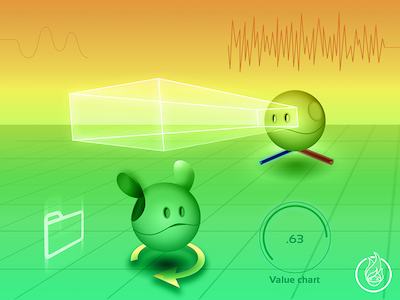 Do you want to create a kind of augmented reality visualization in RVIZ for your robots? Do you want to visualize overlapping menus and data information on top of your robot, like in the anime Mecha robot displays? Well, this is the course for you! Visualizing data in the correct way is vital to extract meaningful conclusions. This is specially true in Robotics. One of the problems you always tend to have in robotics is to know what the robot is actually seeing, what is the virtual representation of the world in his mind. Its also very important to represent visually complex data in one place only. That's why RViz and all its markers and plugins have made robotics much user friendly and powerful than ever before!